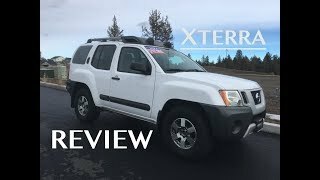 The second generation Nissan Xterra has been around since 2005, and although the off-roader already received a handful of styling changes in the past, Nissan isn't doing things any differently with the Xterra 2012. The new version brings along with it up-to-date features, a handful of safety improvements as well as a few changes in design. Under the bonnet the Xterra 2012 packs the same 4.0 liter DOHC V6 engine we've seen in the previous years. The unit develops 262 horsepower alongside 281 lb-ft of torque, and is mated with the same two choices in terms of transmission: a 5-speed automatic or a 6-speed manual gearbox (for the S 4X4 and PRO-4X variants only). We should also mention that rear-wheel drive comes as standard on the S and X variants, whereas the PRO-4Xcomes only with 4-wheel drive. 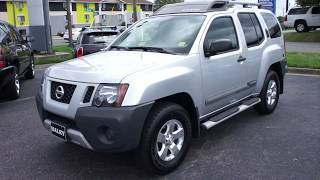 On the exterior the Nissan Xterra 2012 received a few aesthetic modifications including slightly redesigned hood and headlights, large flared fenders, redesigned roof rack and a rear bumper with side steps. Other optional extras include the roof-mounted off-road lights, which come as a standard on the PRO-4X variant. 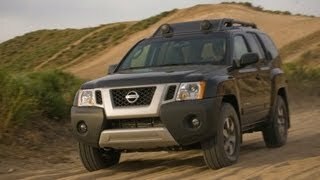 In terms of color, the new Xterra offers a range of seven choices including: Night Armor, Super Black, Metallic Green, Lava Red and Avalanche, with two new colors being added for the 2012 model: Metallic Blue and Brilliant Silver. 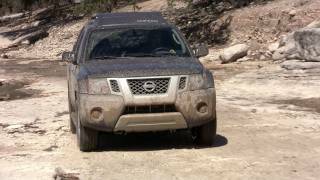 Furthermore, the X variant comes with a set of 16-inch steel wheels, the S models come with a set of 16-inch alloy wheels whereas the Xterra PRO-4X variants come with a unique 6-spoke 16-inch machine-finished alloy wheels mated with a set of BFGoodrich Rugged Trail T/A tires. On the interior the new Xterra comes with side curtain airbags as standard, rollover sensor, sporty front bucket seats, front and rear cupholders, power locks, windows and mirrors, cruise control, Remote Keyless Entry, Bluetooth connectivity, an 8-speaker Rockford Fosgate audio system with subwoofer and XM Satellite Radio as an optional extra. Also, the automatic transmission Xterra PRO-4X variant includes the PRO-4X Leather Package which includes leather-appointed seating. 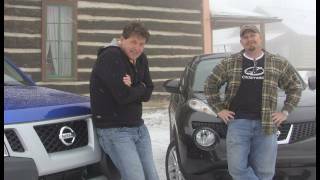 As far as pricing goes, the Nissan Xterra 2012 has a base price of $24,260, and in case the Nissan is not exactly what you're looking for you might be interested in the $22,045 2012 Jeep Wrangler, the $23,360 2012 Jeep Liberty, or the 2012 Toyota FJ Cruiser which will set you back $25,999.